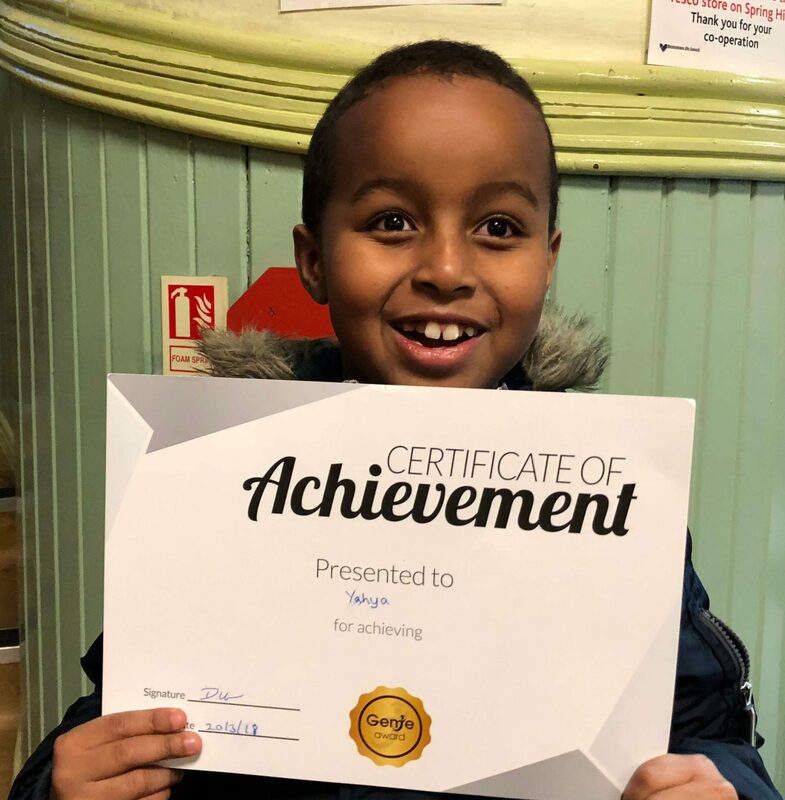 Congratulations Ahmed! 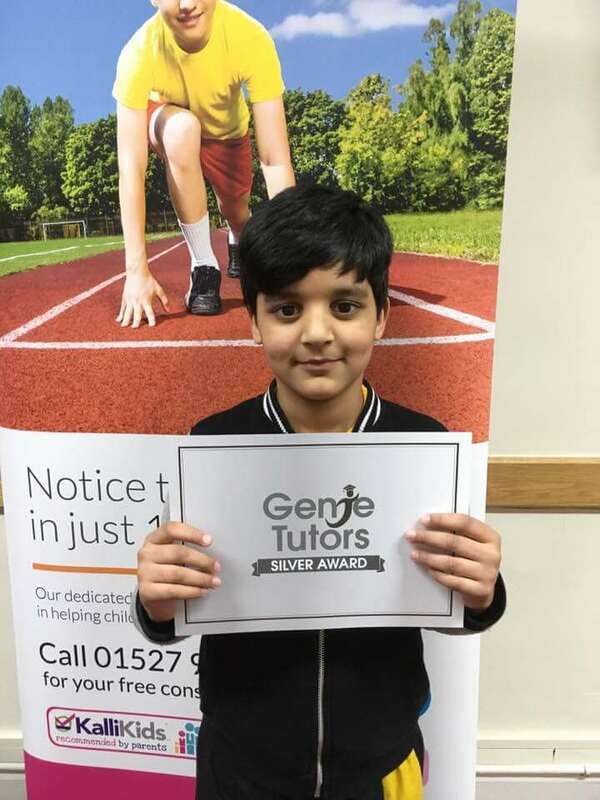 You have made a fantastic start at Genie tutors Redditch. 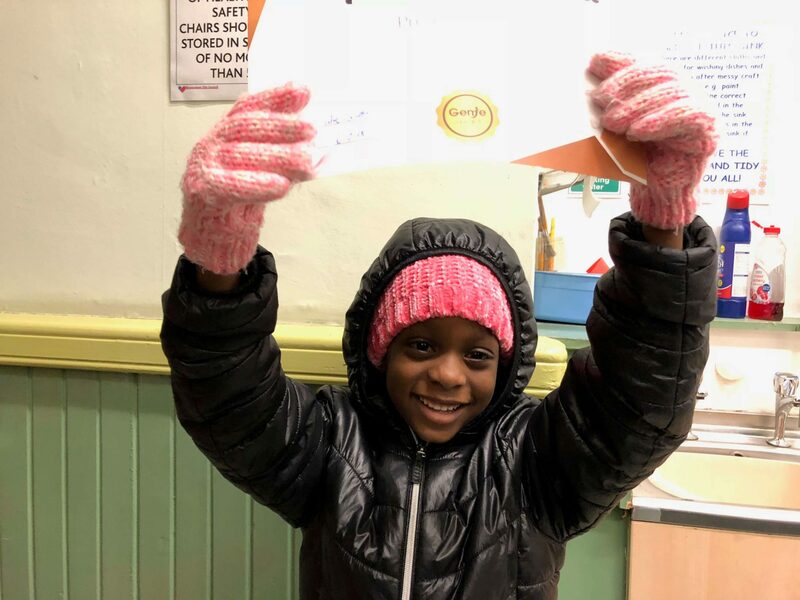 Keep up the fantastic progress in all areas. 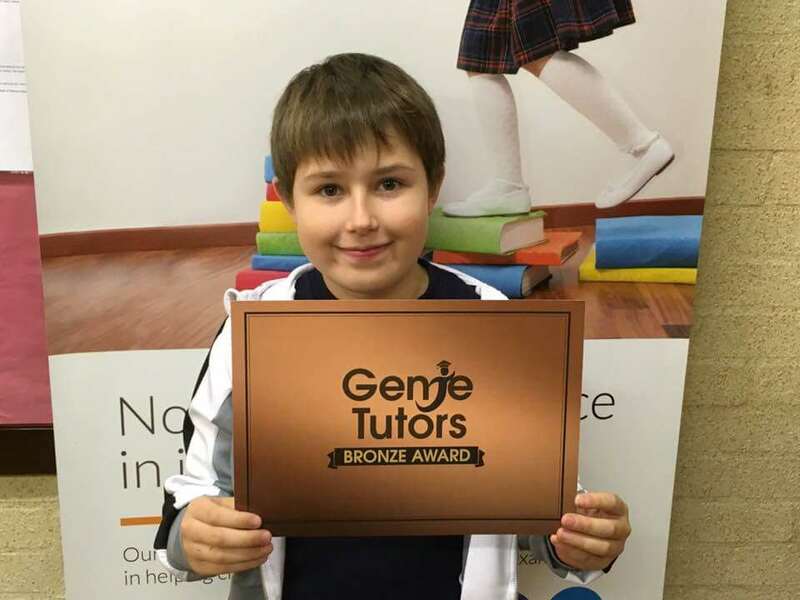 Congratulations Miller at Genie Tutors Redditch for achieving your Bronze award. 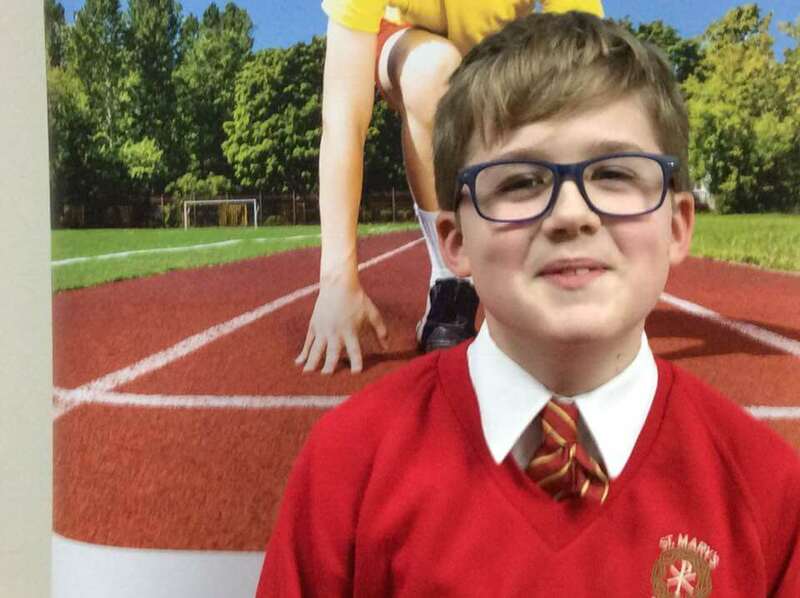 Keep up your excellent effort in English and Maths and hope that leg feels better soon too! 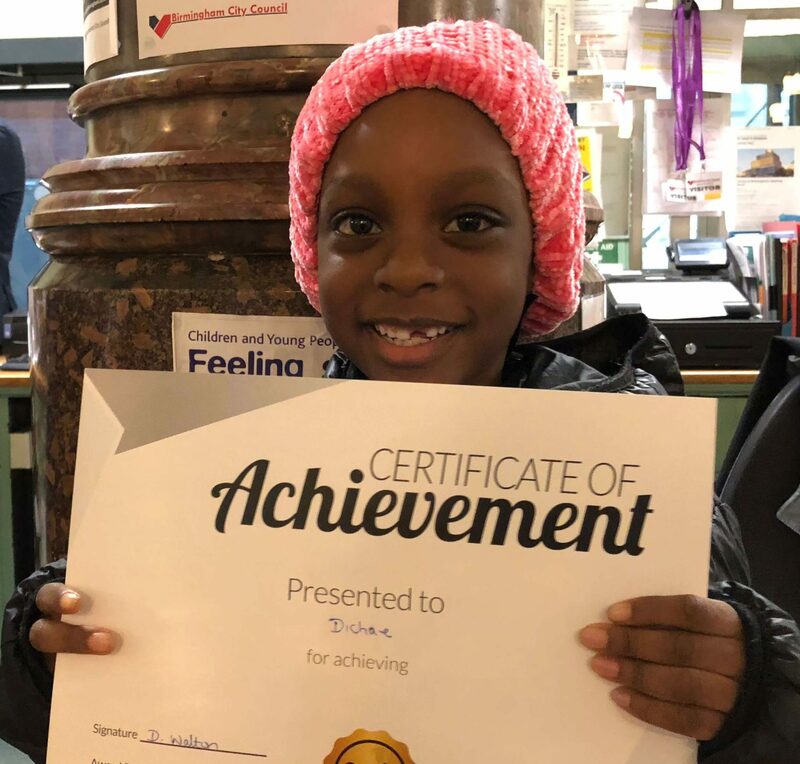 Dichae was delighted to share her new certificate for all her hard work. 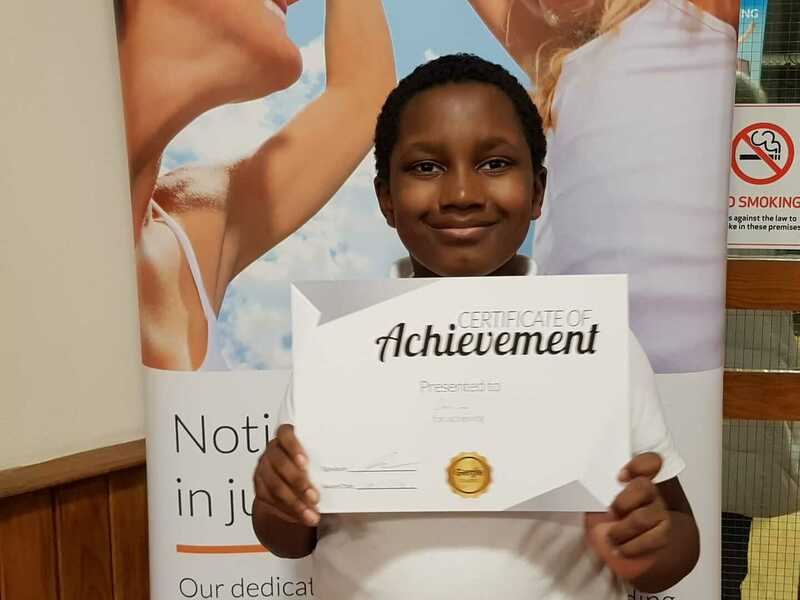 Great work Derrim. 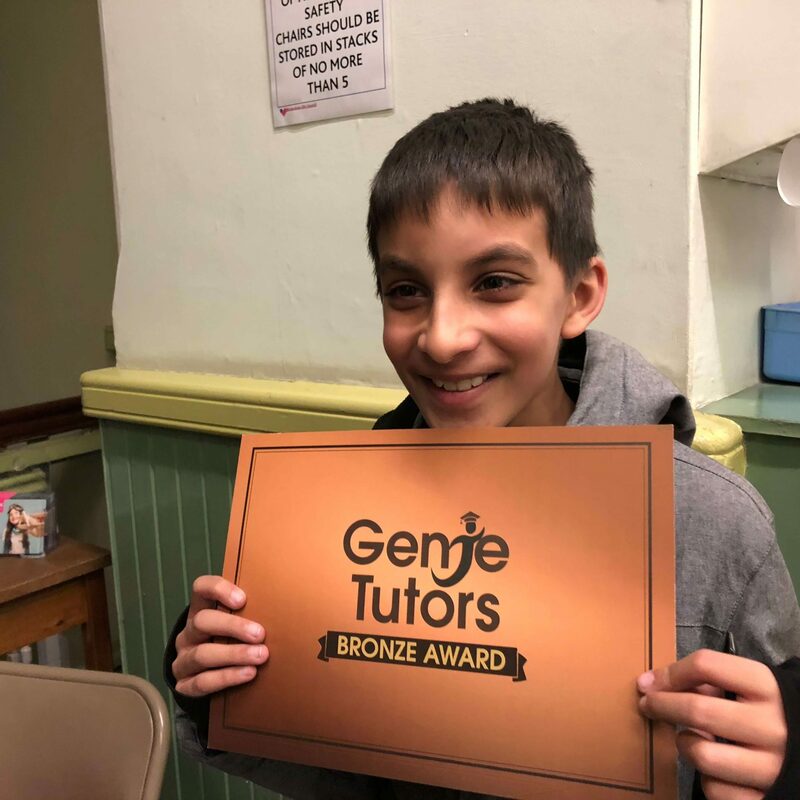 You always put so much effort in after school at Genie Tutors Liverpool. 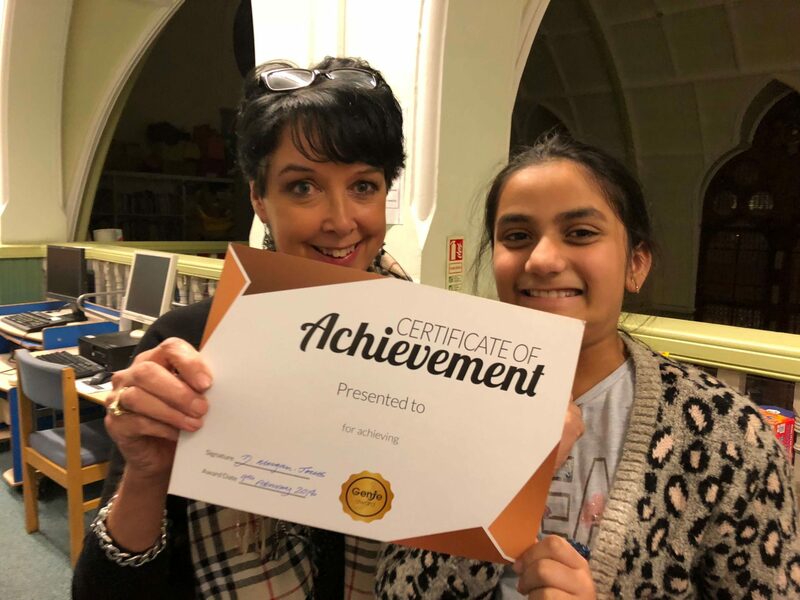 A well deserved silver award. 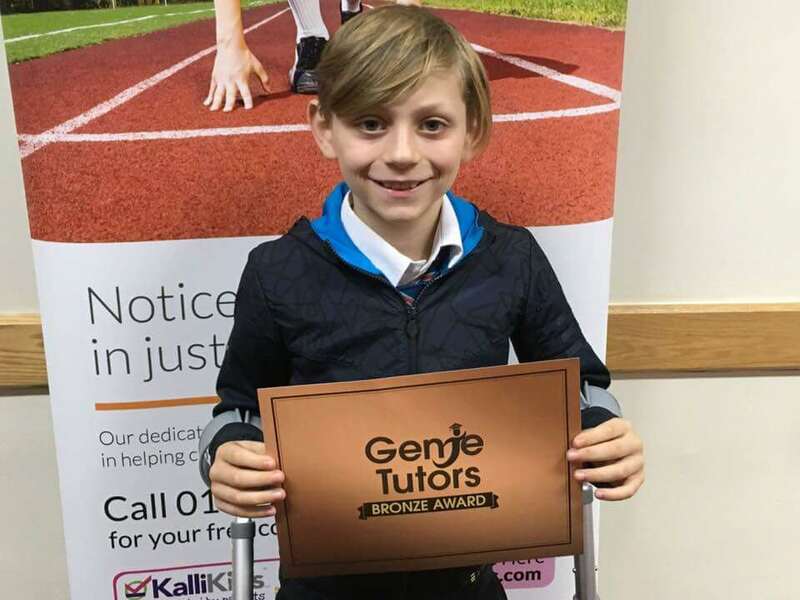 Congratulations Jacob for achieving your Bronze award at Genie Tutors Bromsgrove. Your confidence has rocketed. Keep going! Congratulations Harry! You are now such a confident mathematician. 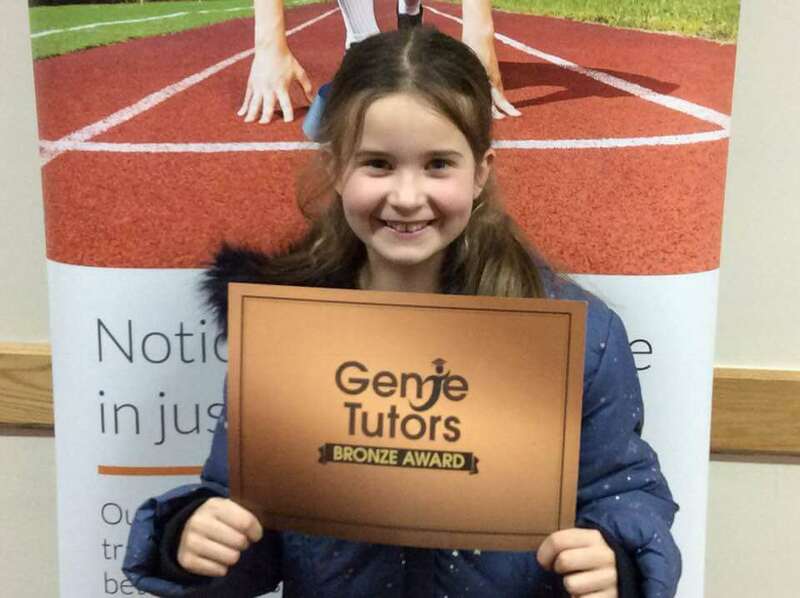 Keep up the fabulous work at Genie Tutors Bromsgrove. Congratulations Arjan. 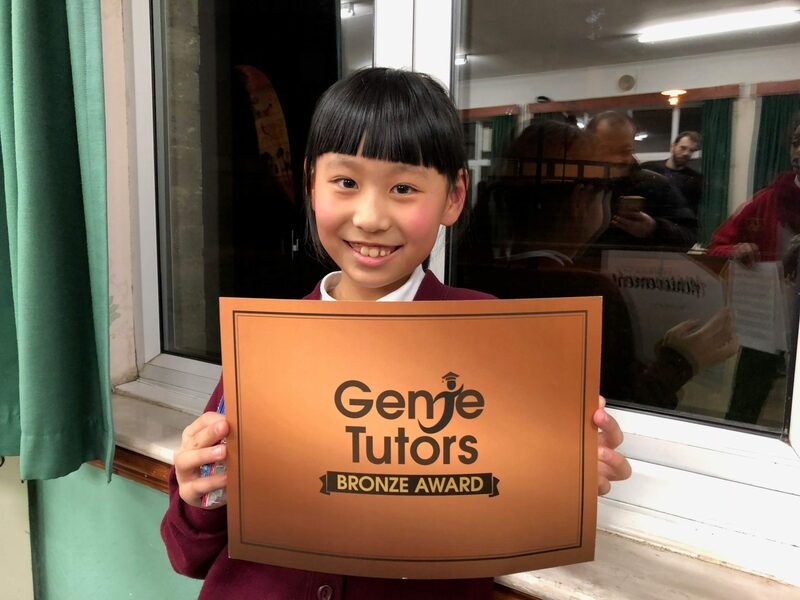 You've achieved your Bronze award at Genie Tutors Bromsgrove. 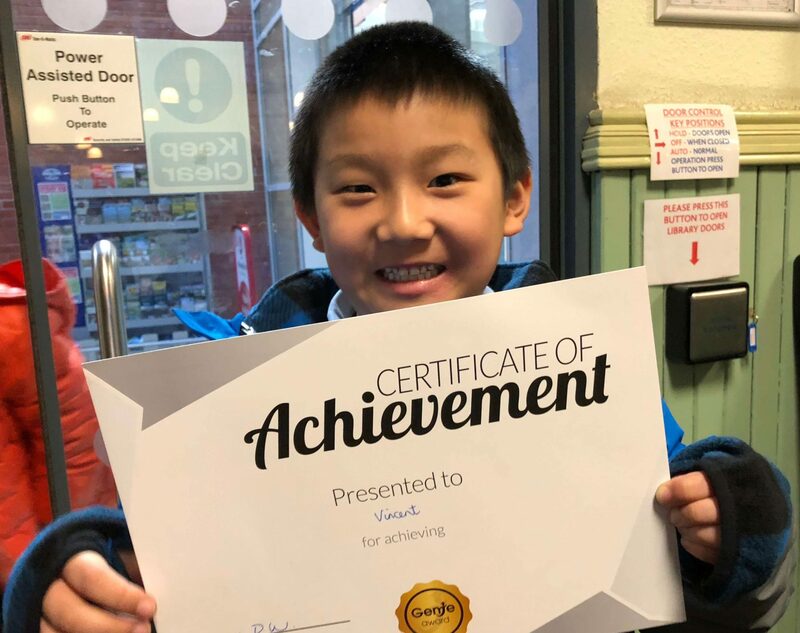 What a great start, keep up the super progress in your English and maths! 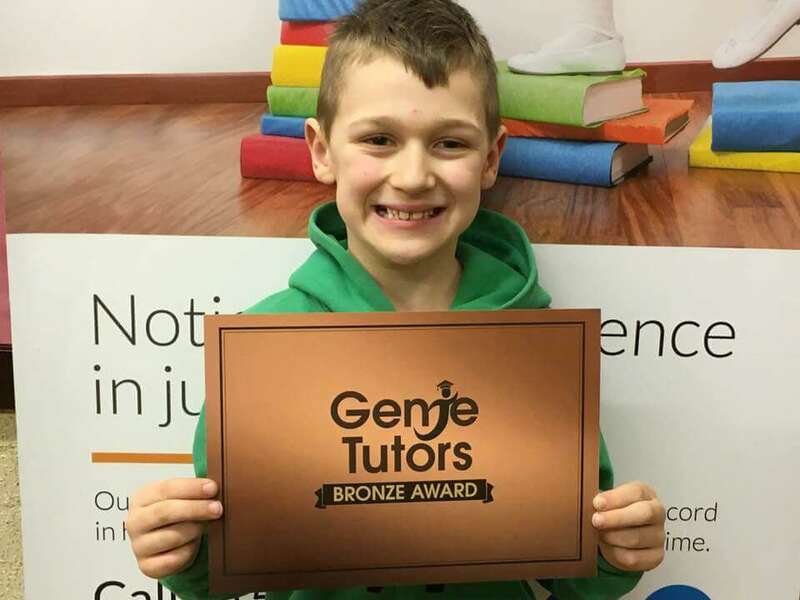 Congratulations to Sam on your Bronze award at Genie Tutors Bromsgrove. We're delighted with your progress. 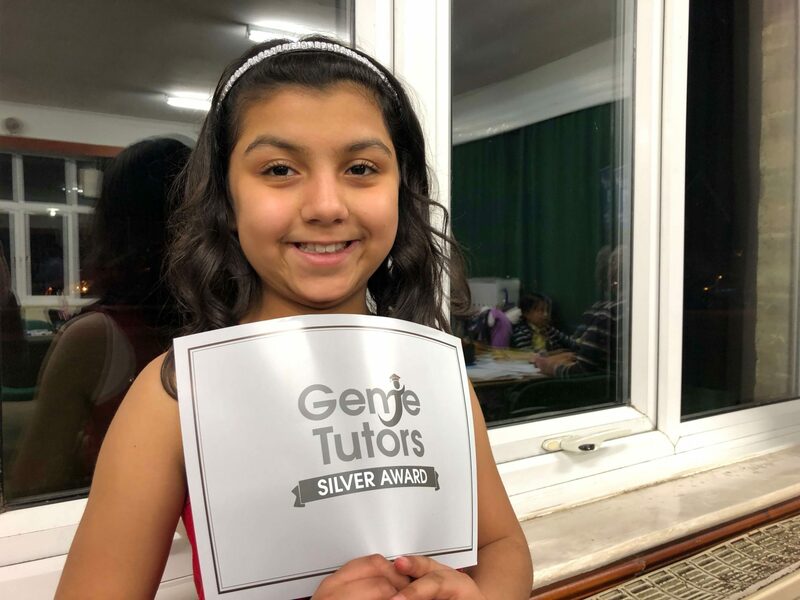 Havya wanted to share her success with her Tutor at Genie Tutors Edgbaston. Congratulations Darius. 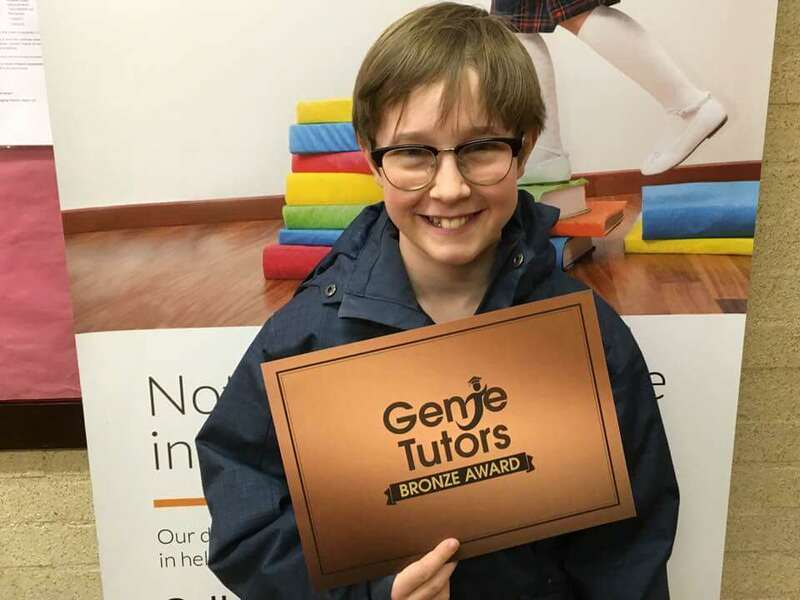 Brilliant achievement at Genie Tutors Bromsgrove. Ella, what super progress in your maths confidence. You're starting to realise that you can do it! 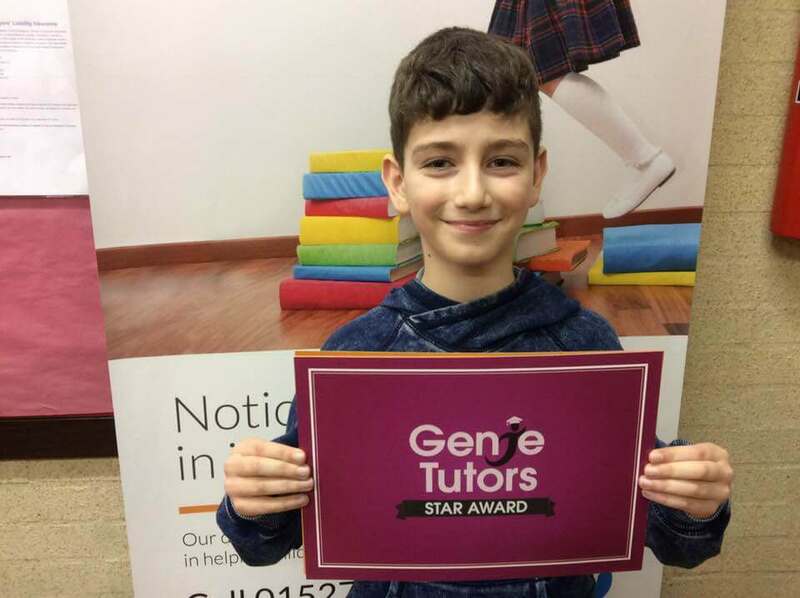 Keep up the fantastic work towards your 11+ at Genie Tutors Redditch. Congratulations Elliot. 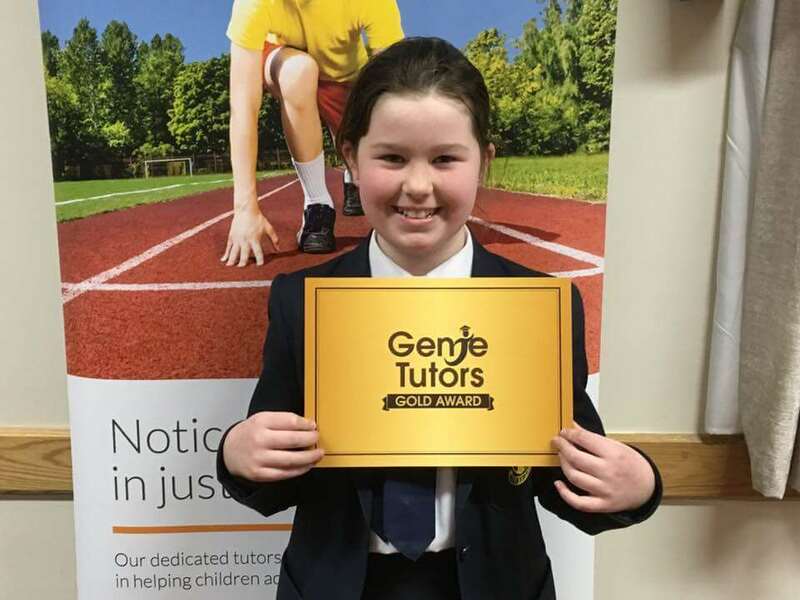 You continue to make strides towards your 11+ exam at Genie Tutors Bromsgrove. 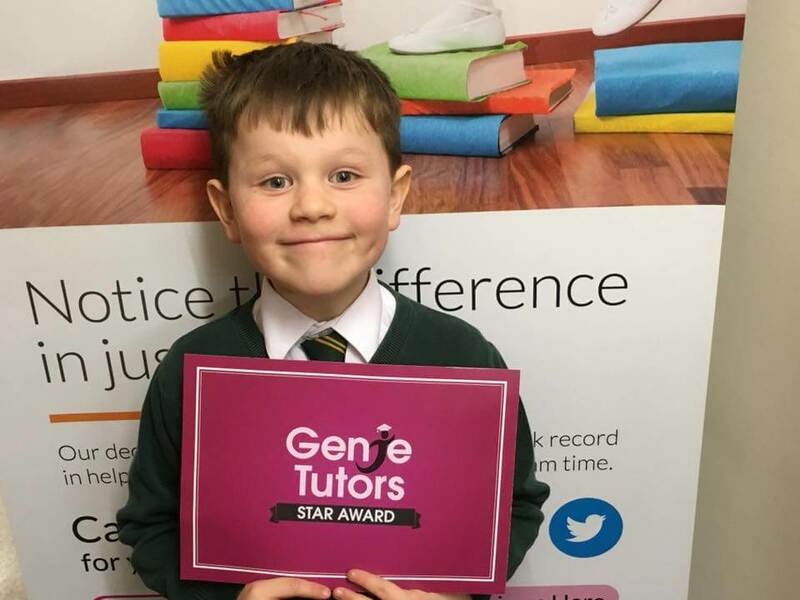 Congratulations William on your Star award at Genie Tutors Redditch. You're progressing brilliantly towards your 11+ exam. 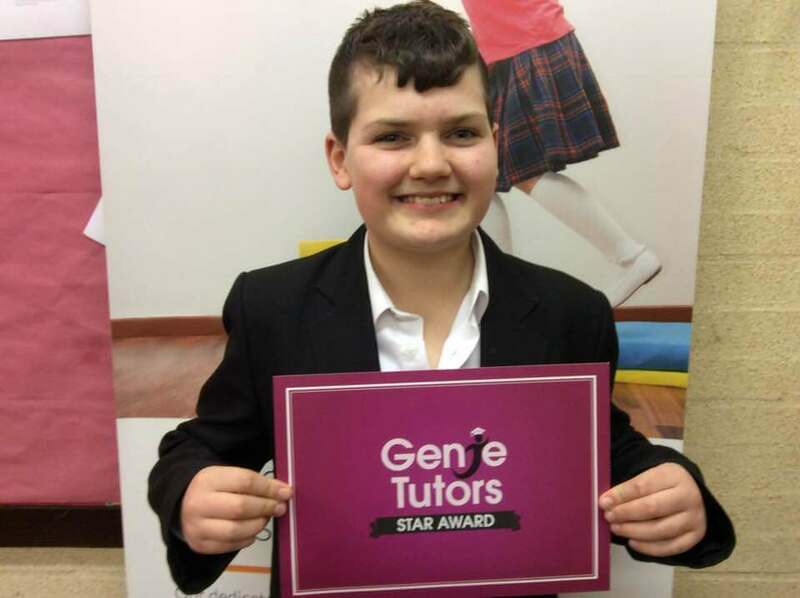 Congratulations to Joe at Genie Tutors for achieving his star award! 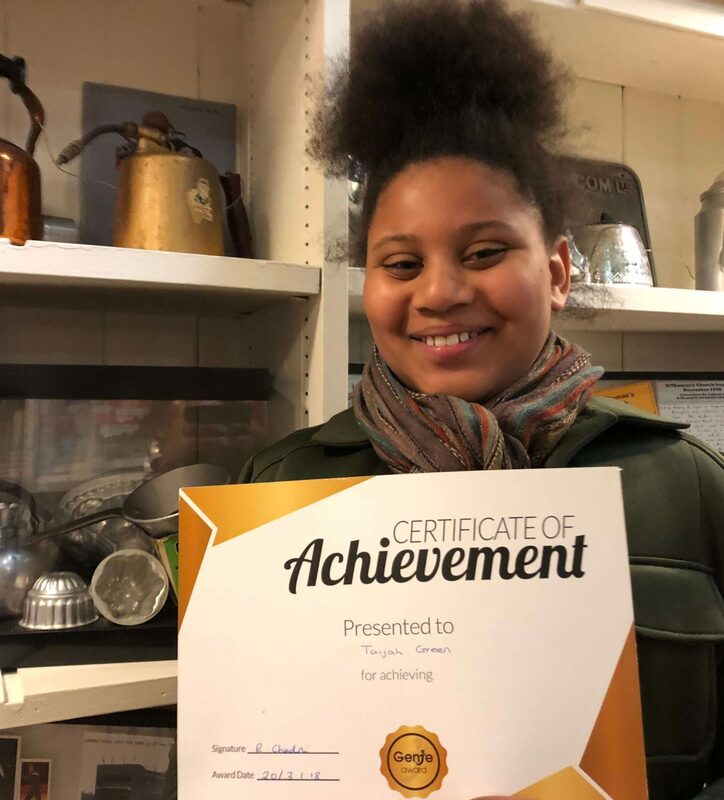 Congratulations Erin on your Gold award. 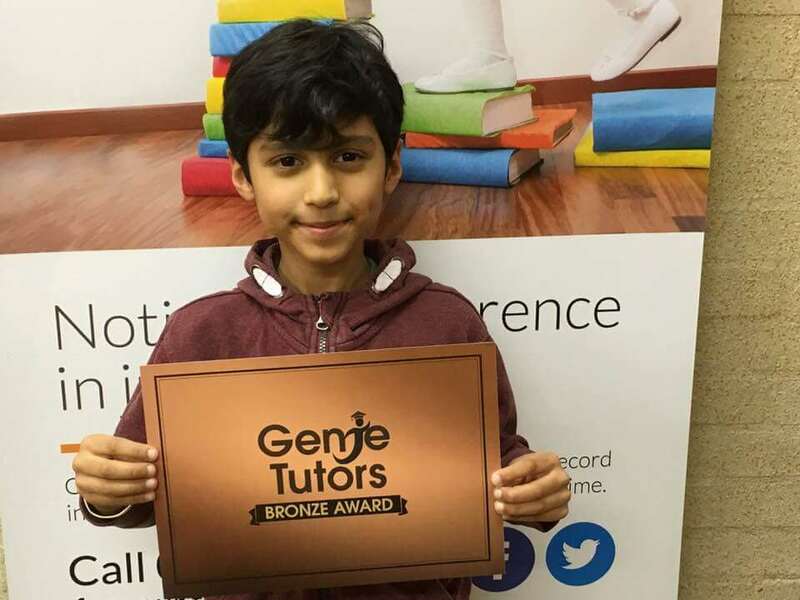 We are delighted with your progress at Genie Tutors Redditch. 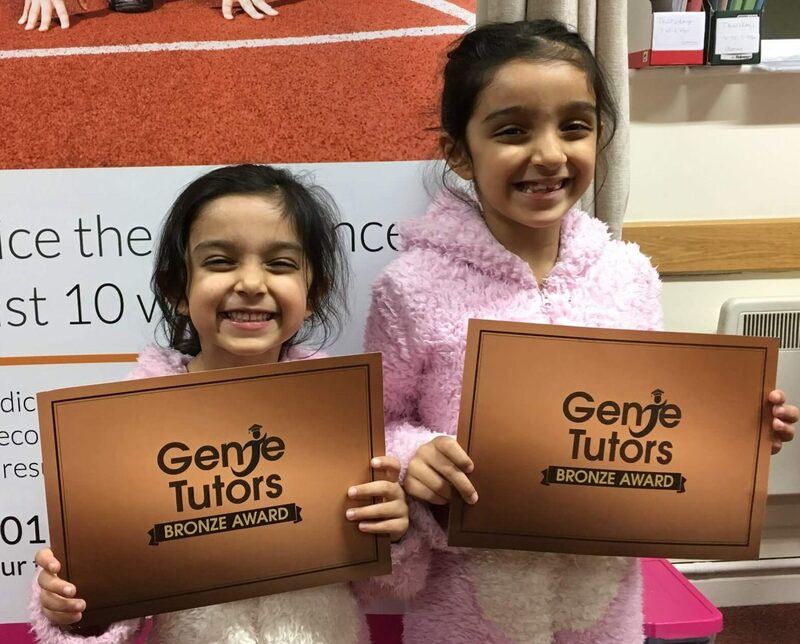 Well done to Ariayna and Alicia on your achieving your Bronze awards at Genie Tutors Redditch. Keep up the great work. 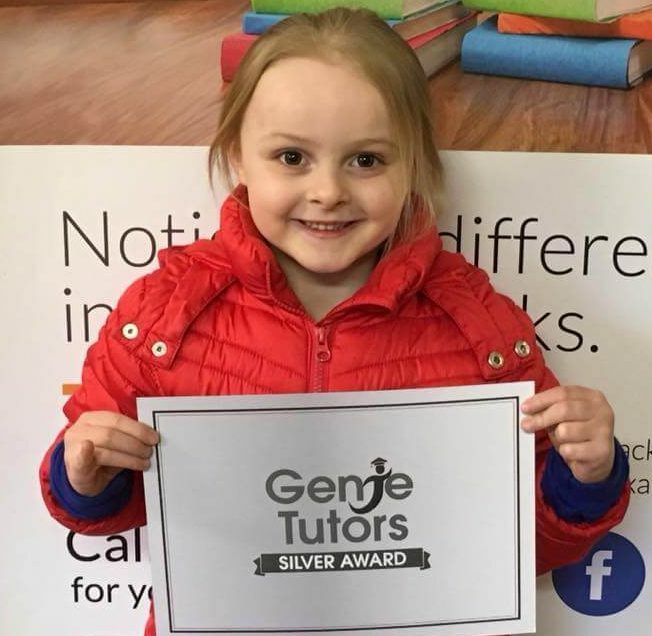 Great achievement by Fiona at Genie Tutors Bromsgrove. Keep up the great work. 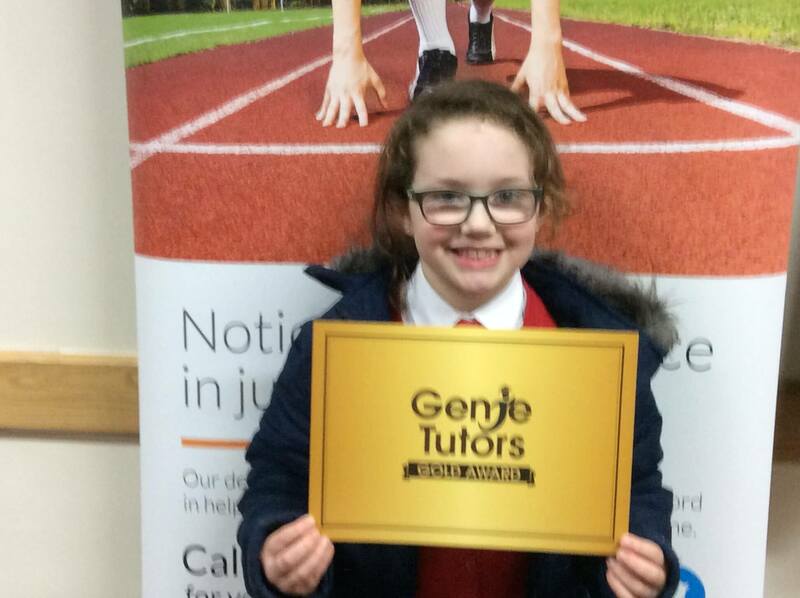 Congratulations Kiera on your gold award at Genie Tutors Redditch. Keep up the hard work and super progress. 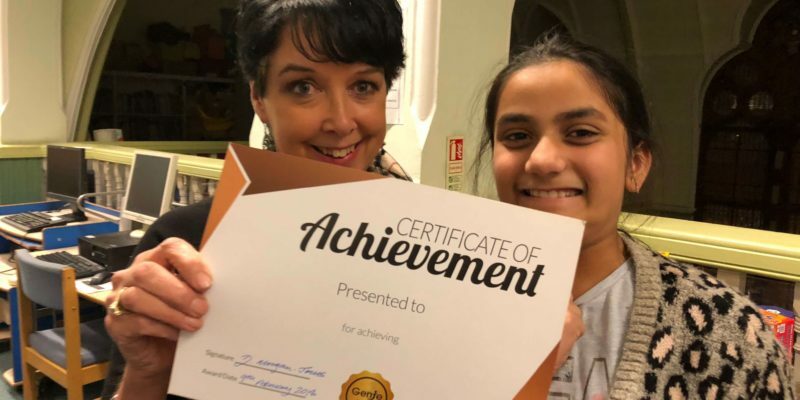 We have a new host of children achieving great things with their tutors this month. If you can’t see your child here we will be adding their photos through out the month.